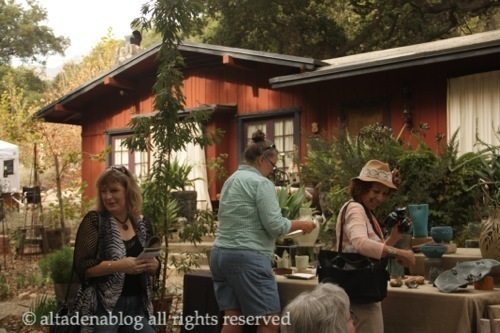 Architect Henry Green's Valentine Cottage was the centerpiece of this fall's Art on Palm event. The fall Art on Palm show was a good place to spend some time on a warm Saturday afternoon. 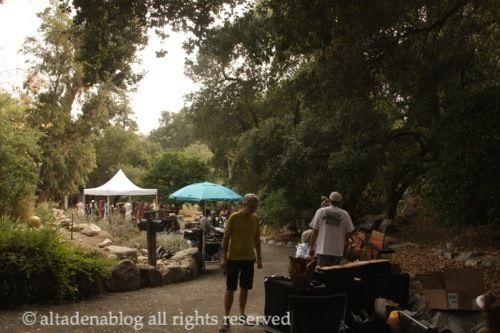 Artists and craftspeople offering their creative wares, serpentined among the tasteful rustic houses and the centuries-old oaks of Wildwood Park. Mary Jane Elgin, Catherine Cowles, and Mark Pickett organize this art show in their neighborhood. 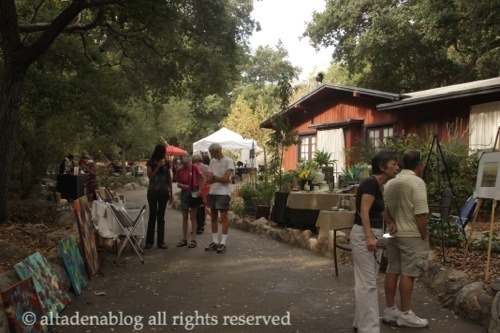 Clustered around the Valentine Cottage (by architect Henry Green, of Green & Green fame), there was something for every artistic taste and decorative need, from jewelry to paintings and steampunk brass lights. And it was all for a good cause: the event benefits the west LA Fisher House, which provides free or low-cost lodging for families of service members recovering in military hospitals. 1. A canopy of majestic oaks covers the neighborhood. 2. 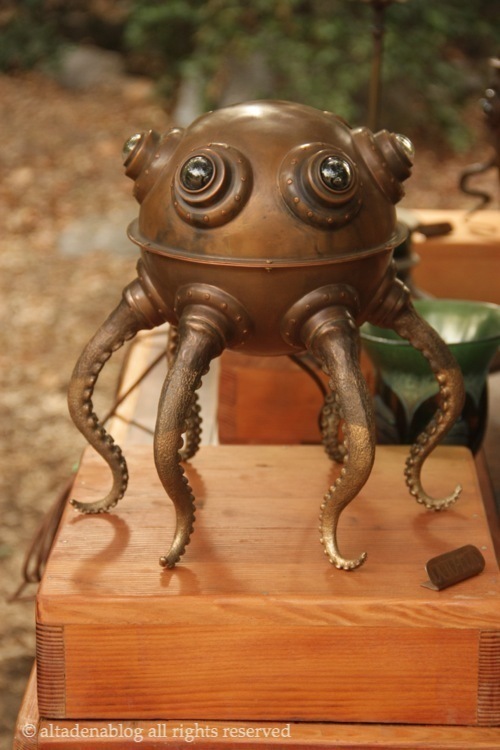 Evan Chambers' lamp is a little bit steampunk, a little bit Lovecraft. 3. 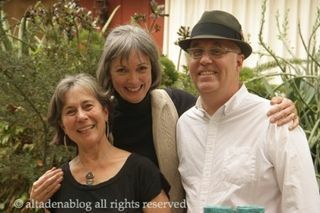 Art lovers looked over the works of a variety of talented artists and craftspeople.